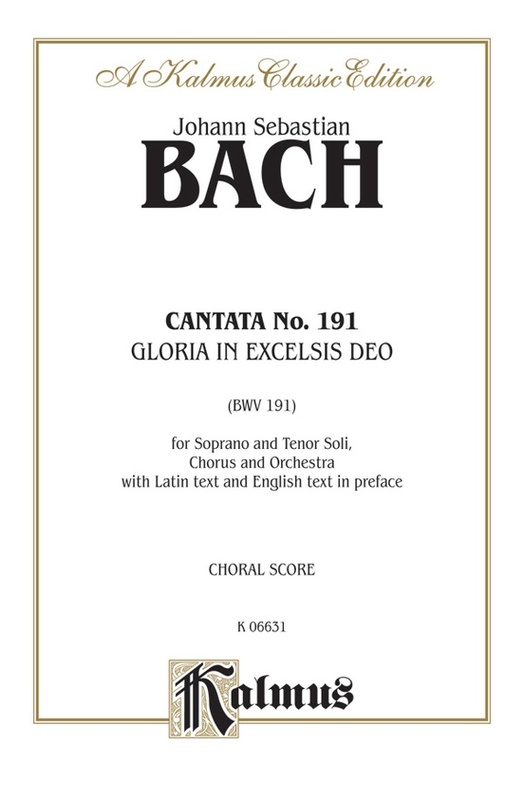 "Gloria in excelsis Deo" was performed in 1745 in Leipzig for Christmas Day, as indicated by the heading on the manuscript in Bach's own handwriting: "Jesu Juva Festo Nativitatis Christi -- Celebration for the birth of Christ," to be sung around the sermon. 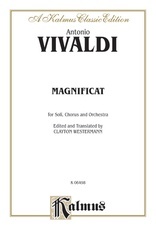 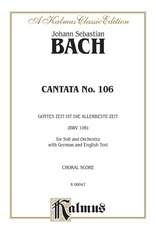 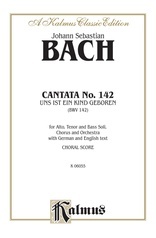 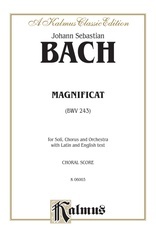 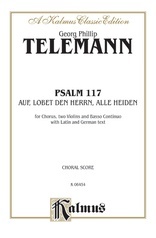 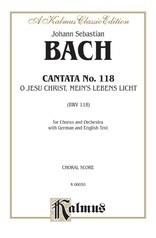 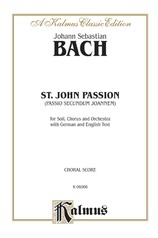 Unlike Bach's other church cantatas, the words are not in German, but in Latin, taken from the Gloria and the Doxology. Choral score with piano accompaniment. Includes: Chorus -- Gloria in excelsis Deo * Duet -- Post orationem * Chorus -- As it was in the beginning.